The Green box is the section that make Serviio update the library all on its own 'automatic update'. If you untick this box the library won't update till you click 'Force refresh' button. 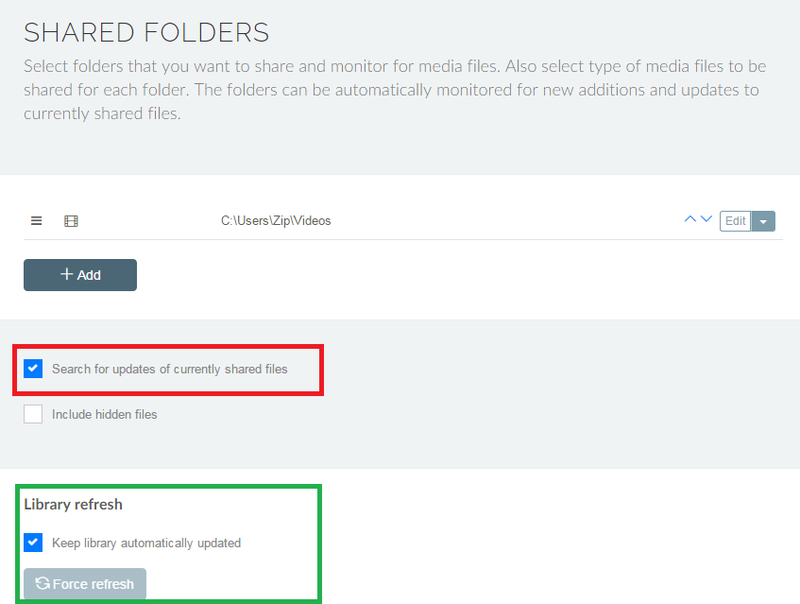 The Red box is the one that makes Serviio monitor the files currently in your share folders and changes them as you do (e.g. editing ID3 tags in mp3 files, adding folder.jpg album art file, updating XBMC .nfo file, etc.). There is a list of connected devices in the Status section. Green dot means Serviio detect that the device is on or active (with Upnp respond to a search detection mechanism) and automatically select the proper profile (if a specific profile exist). Red dot means Serviio doesn't detect the device after an Upnp search mechanism (that supports this feature)- Means that the device is off or inactive. Orange question mark means Serviio doesn't know if the device is on or off at that moment - Means that the device doesn't support Upnp search mechanism. 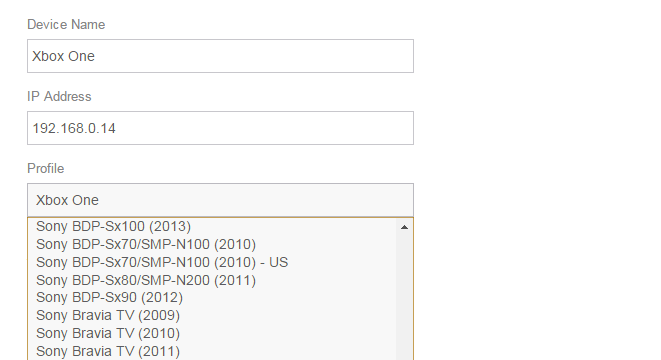 To select a profile for a device, click Edit and select the device profile from the drop-down menu.